WASHINGTON, DC, March 1, 2017 (ENS) – The federal rule protecting the navigable waters of the United States will be reviewed for “consistency” with the policy of the Trump administration and rescinded or revised to conform to that policy, under an executive order signed Tuesday by President Donald Trump. The review will be conducted by the Administrator of the Environmental Protection Agency Scott Pruitt, and Assistant Secretary of the Army for Civil Works Jo-Ellen Darcy. They will review the final rule entitled “Clean Water Rule: Definition of ‘Waters of the United States,'” 80 Fed. Reg. 37054 finalized June 29, 2015. The definition of “navigable waters” is a longstanding point of contention and litigation in connection with protection of U.S. waters that are seasonal or are wetlands. 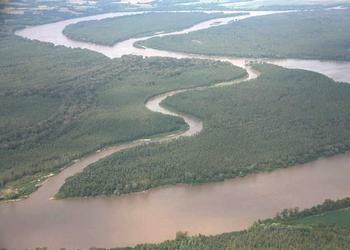 The term “navigable waterway” has been broadly interpreted by the Environmental Protection Agency to include areas connected to or linked to waters via tributaries or other similar means. In his executive order, Trump directs that for future rulemaking, “the Administrator and the Assistant Secretary shall consider interpreting the term “navigable waters,” as defined in 33 U.S.C. 1362(7), in a manner consistent with the opinion of Justice Antonin Scalia of the U.S. Supreme Court in Rapanos v. United States, 547 U.S. 715 (2006). In the Rapanos case, the Supreme Court’s nine justices were unable to produce a majority decision. The case involves developers John Rapanos of Midland, Michigan and June Carabell whose separate projects were stopped because of the environmental regulations that make up the Clean Water Act. In the late 1980s, Rapanos filled 22 acres of wetland that he owned with sand, in preparation for the construction of a mall, without filing for a permit. He argued that the land was not a wetland and that he was not breaking the law, but his own consultant and state employees disagreed. Rapanos claimed that his land was up to 20 miles from any navigable waterways. Four justices voted to affirm the Clean Water Act. Four justices voted to vacate, to strike down the Corps interpretation of the Clean Water Act, and to remand back to the lower court under a new “continuous surface water connection” standard. Justice Kennedy also voted to vacate and remand but under the different, “significant nexus,” standard. The Court voted 4-1-4. Because no single opinion received a majority of the votes, it is unclear which opinion sets forth the controlling test for wetlands jurisdiction. Citing the confusion created by the Rapanos ruling, on June 29, 2015, the U.S. Army Corps and EPA promulgated a new 75-page regulation attempting to clarify the scope of waters of the United States, to take effect on August 28. Thirteen states sued, and on August 27, 2015, U.S. Chief District Judge Ralph Erickson issued an injunction blocking the regulation in those states. In separate litigation, on October 9, 2015 a divided federal appeals court stayed the rule’s application nationwide. With Trump’s executive order, U.S. Senator John Barasso, a Wyoming Republican, got what he has wanted for years. Barasso’s bill, the Federal Water Quality Protection Act (S. 1140), never became law. “We rely on the EPA to do the hard work of protecting our rivers and streams so that millions of Americans can be confident that the water their families drink or play in is clean,” said Carper. “This Executive Order not only puts our nation’s streams and wetlands at risk of contamination, it also creates the uncertainty that Mr. Pruitt is, supposedly, so concerned about,” said Carper. The environmental community is outraged and alarmed by this executive order, Trump’s second attack on the purity U.S. waters. The first was contained in an executive order during the first week of his presidency that allows mining companies to dump waste into streams. “We all know that public health and our economy suffer when polluters discharge untreated sewage and industrial waste into any of our nation’s waters, including wetlands, streams, lakes, and rivers. We also know that pollution flows downstream and poisons larger waterways used for drinking water, fishing, and recreation,” Yaggi said. This is why Congress passed the Clean Water Act more than 40 years ago.